Discussion in 'Pin Trading' started by hopemax, Nov 2, 2017. So not to clutter up the trade forum, as these boxes get released, I thought we could use a single thread for people to post their wants / trades. 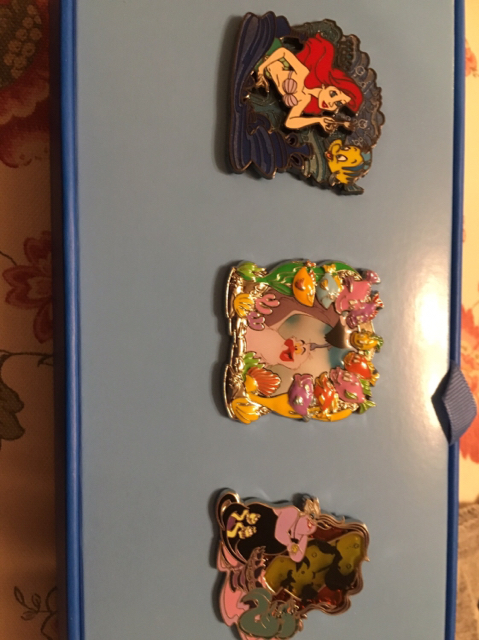 I have this lovely Little Mermaid Box with pins 5 / 6 / 5 (if my eyes are correct). I did not subscribe in time to get an Alice box, so I am looking to trade my entire box for your entire Alice box. I would prefer NOT to trade for a box with the Tweedle Silver Frame (version 6) or the Sepia Cheshire Cat (version 2). 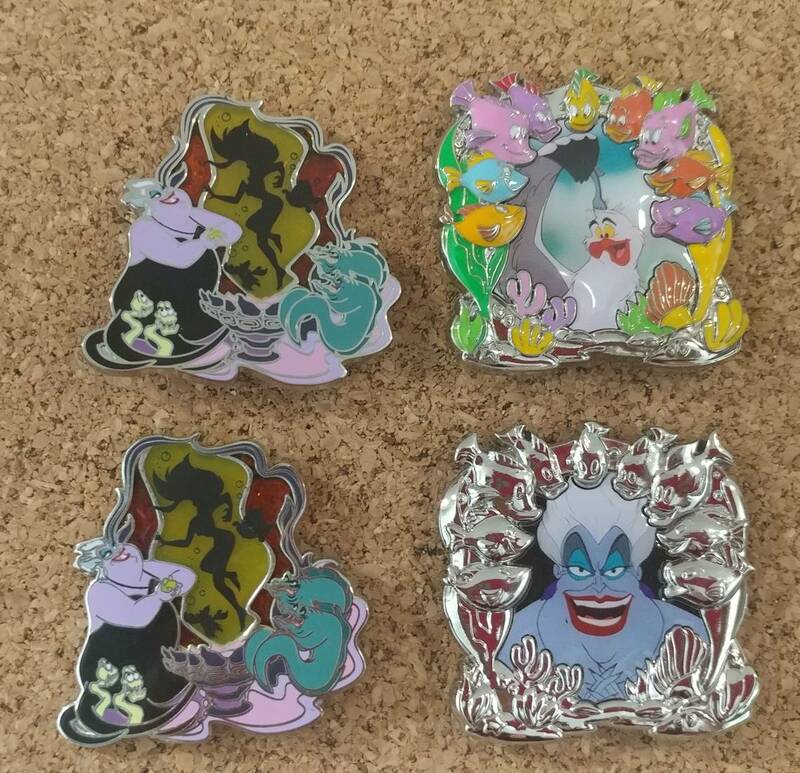 If I can't find a trade for Alice, I am not interested in trading the pins separately, or for non-park pack pins. I'll hold onto it in case there is another theme I collect (Frozen, Dumbo, BatB). Great idea. I'm trading the below set (1, 1, 4). Glad to break up the set and open to any appropriate trade. Nice! I have the Ursula and Scuttle frame for trade. 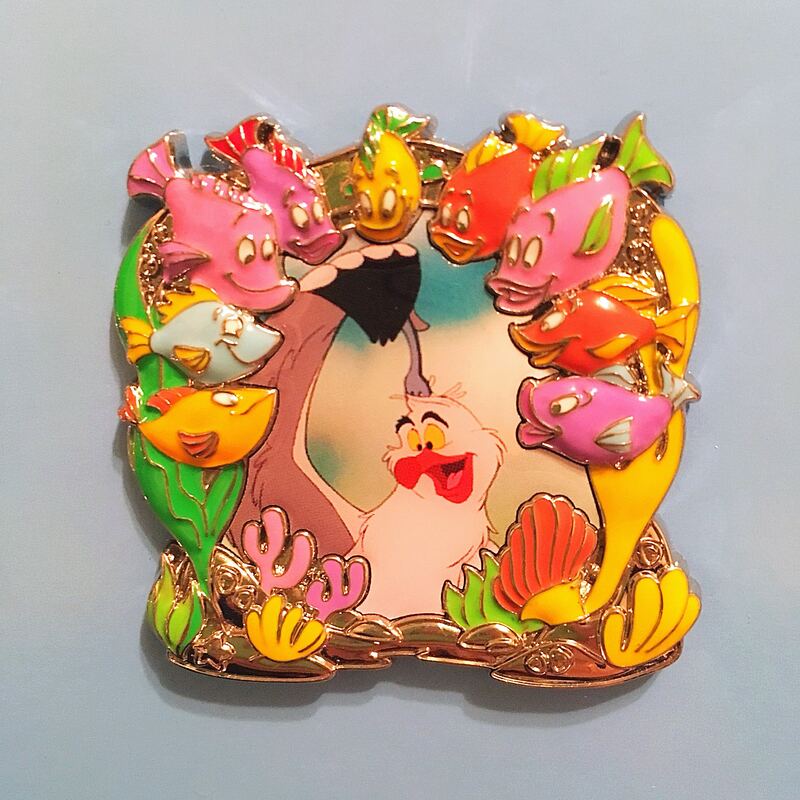 Would love to trade for Sebastian or Flounder frame. Also have transformation pin #5. Would like to trade for #1, 3, 4, or 6. Will also trade for other similar pins. Hello! Here are the park pack pins I have for trade! Do you collect PatF? I am sending you a pm. 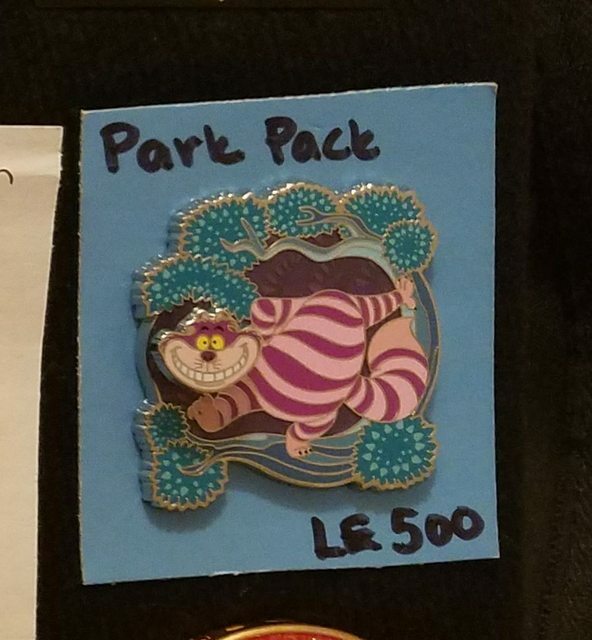 I am trading the LM park pack for pins from the Alice pack last month. Tried to message you back and it said your inbox was full! Sorry. Let me clear it out. 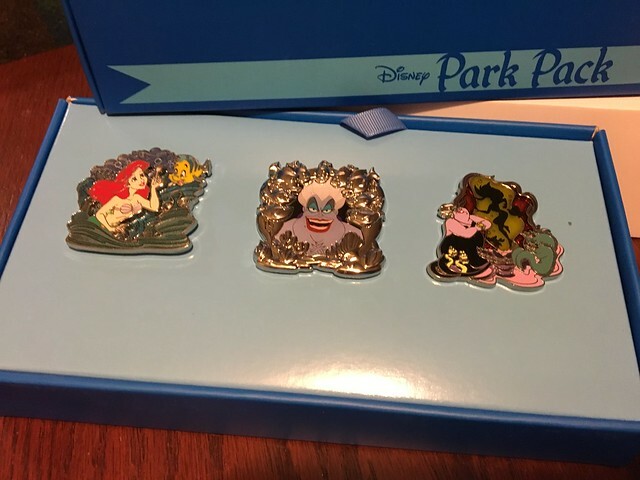 Iâ€™m looking for any of the framed Pins from the Alice park pack, especially Alice. Check my OWNS list on Pinpics. Ventchick is the username. Looking for any version of the Cheshire Cat - CCofRR13 is my Pinpics name as well. Please check out Traders and collection (MIGHT be willing to trade from my collection for the right trade). Thanks! Hoping this works. The pic above is the tlm box I have to trade. I am looking for any of the prior alice boxes. 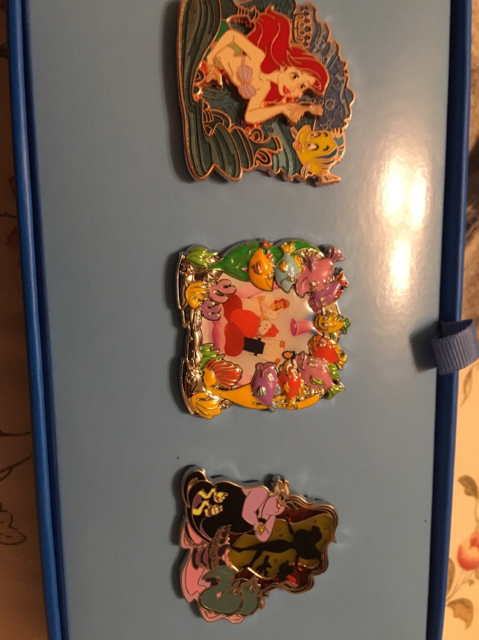 I want to trade the 3 TLM for 3 alice Park pack pins. 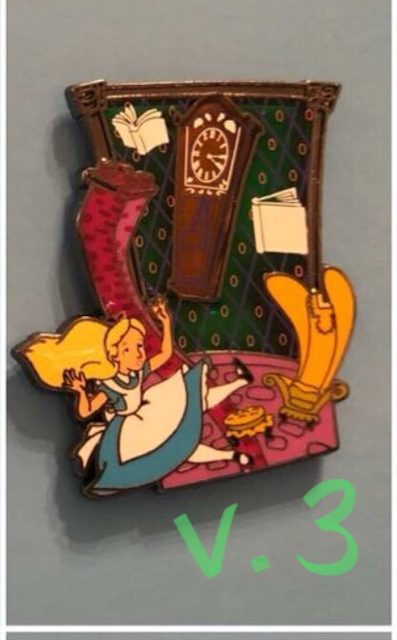 If I have anything you would trade for your alice park pack pins, thanks! Looks like my photo was lost so reposting. Plus I traded the transition so have the two below remaining to trade. Both are version #1.
picture showed up on my phone, but it's not showing on my laptop. Can anyone see my pic in my above post ? ok, thanks - I gave it another shot. 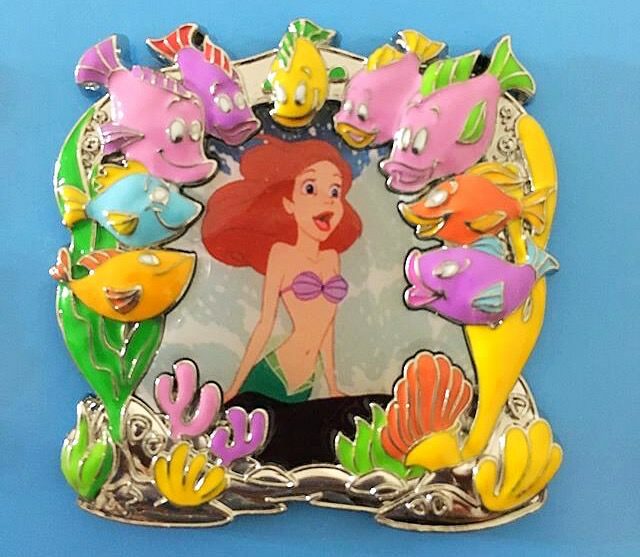 Anyone want mermaid pins for alice pins ???? Today is the 23rd. If you want to purchase the Park Pack for this month, today is the last day to purchase it on the website. I took the leap and made the purchase. Hope it's a good month. Will be looking for November's pins. Have both of previous months pins. Need to figure out which versions I have. I'd love him, but I don't have anything you're interested in that would be close. The middle movie scene and stained glass Stitch Park Pack pins are up for trade if anyone is interested. My pinpics is the same. I need Falling Alice version 3 (green glass). If you have that pin, you can have the pick of the litter from my Stitch box!